A PERFECT narration of an English classic! Orphaned at 13, Rose goes to live with her Uncle Alec. Here she meets her seven spirited boy cousins with whom she has home-spun fun, many exciting adventures and in the process learns valuable lessons about life, love and friendship. David Copperfield is the story of a young man's adventures on his journey from an unhappy and impoverished childhood to the discovery of his vocation as a successful novelist. 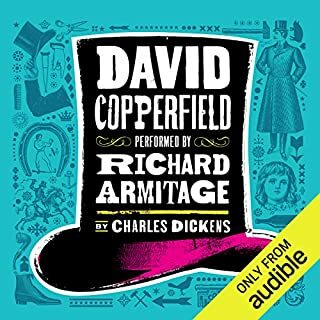 Among the gloriously vivid cast of characters he encounters are his tyrannical stepfather, Mr. Murdstone; his formidable aunt, Betsey Trotwood; the eternally humble yet treacherous Uriah Heep; frivolous, enchanting Dora; and the magnificently impecunious Micawber, one of literature's great comic creations. Liars. Fraud. Wonder who I should call? Quite long, but worth a listen! a Dickens that is almost unknown. Renowned actor Tim Curry’s voice is warm, deep, and arch to the point of campiness. Curry is an actor’s actor. His voice is so distinctive as to be unmistakable. 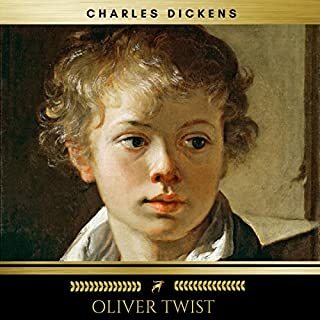 Fans of this Dickens classic will enjoy hearing Curry manifest the coterie of pithy characters that inhabit this novel, ranging from small boy to old man to dire ghost. Curry’s knowing tone suits this fable well. His dramatic but nuanced performance highlights the emotions of loss, fear, hope, and joy that inform this text. Curry takes delight in the macabre aspects of this gothic tale. His irreverent take on this famous novel heightens the drama even for listeners who know the story inside and out. 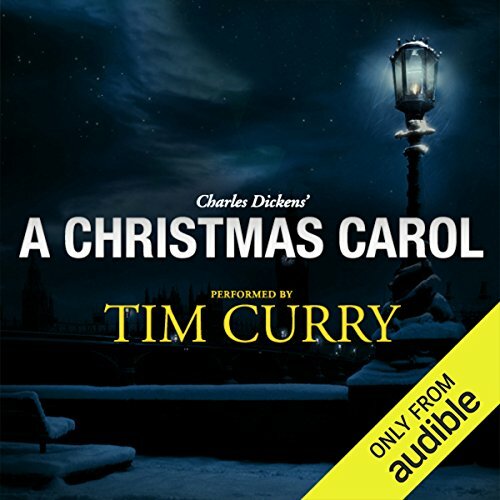 This version of Charles Dickens's A Christmas Carol, masterfully narrated by Tim Curry, was available for a limited time last year, and now it's back. This one-of-a-kind performance puts a unique spin on a treasured classic, and served as the inspiration for the exciting new line of Audible Signature Classics, including Adventures of Huckleberry Finn with Elijah Wood, and Heart of Darkness with Kenneth Branagh. Tim Curry performs this timeless holiday story in a deliciously dark tone, returning it to its Dickensian roots with a vivid imagining of Victorian London and just the right touch of outrageous fun. Listen to more Audible Signature Classics now. An Audible for Dogs Pick: Make your dog's day. Cesar Millan shares how audiobooks can make dogs happier and calmer. Learn more. I'll admit I was a bit skeptical about whether or not I would enjoy such an oft-told literary classic (and I have heard disappointing versions before), but Tim Curry's fantastic narration grabbed me right from the first minute and didn't let go until the end! The emotions of the characters and Dickens' humorous wit really come through in his compelling rendition. I didn't pause it once from start to finish. I laughed, I cried (well, just a little! ), and I enjoyed it completely. Recommended!!! Although I've known the story of "A Christmas Carol" since I was a child, my knowledge of it came mostly from Mr Magoo and Disney; I had never actually read the book until now. 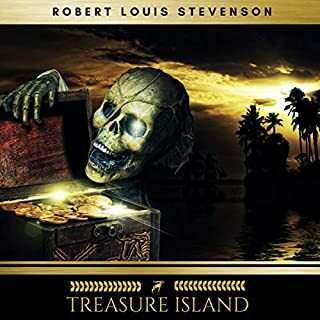 This audio reading was a special treat: The story itself is excellent in all its descriptive detail, and Tim Curry does an outstanding job as the reader. There were many times I had to remind myself that all the characters were 'played' by one actor. Highly recommend listening to this book! Tim Curry is one of the last people I would have thought of in connection with "A Christmas Carol": my image of him is more the snivelling villain type, a kind of Uriah Heep. To my surprise, he does a bang-up job. The narration is clear and well-paced, and the characters are all given distinctive voices. Curry's reading of Scrooge himself is one of the best I've heard; and his Marley wheezes and gasps like a real ghost. (Not that I've ever actually encountered one outside this story.) Small things matter too: the five "staves" of the tale are labelled as such rather than being turned into "chapters" as on some other recordings. I've built quite a collection of performances and adaptations of this tale over the years, starting with Mr Magoo. This version will definitely be one of the ones I return to in future. I'm already a fan of Charles Dickens, and of A Christmas Carol--unabridged edition. The whole book has so much heart and detail that can never fit into even the best movie version. I'm also a big fan of other readings of this book. But Tim Curry did a wonderful job. His rattling voice of Jacob Marley is not to be missed, plus he brought out the humorous parts very well. Thank you, Audible, for this wonderful gift! I absolutely love Dickens. This is one of those stories where it has moved almost into the soul and center of Christmas. 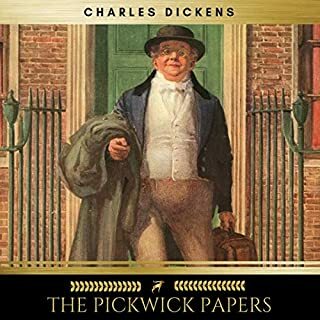 Dickens' style is sharp, his wit is evident, and the story flows like a crisp, step waterfall. I could imagine a December without Ebenezer Scrooge, like I could imagine a December without lights, peppermint, Nativity scenes or Bing Crosby's 'White Christmas'. This was the first year I shared the story with my kids and they enjoyed it as much as I did. Like setting the star on top the tree, Christmas is complete when we've heard at least some version of Dickens's A Christmas Carol -- and as much as I've enjoyed every one of the many homages to Dicken's Carol, (from Alastair Sim to Mr. Magoo to Bill Murray to Scrooge McDuck) nothing warms the cockles like the original icy Scrooge..."tight-fisted hand at the grindstone, squeezing, wrenching, grasping, scraping, clutching, covetous old sinner, hard and sharp as flint"... without Mr. Scrooge, there is something missing in Christmas. "Marley was dead..." those opening lines send shivers of memories and delight through me each year I hear them anew. Stupendous production, Curry's expressive and distinctive voice alone is an ensemble; for 3 1/2 hours I was as mesmerized as the first time I read the story. Dickens is always a favorite, but perhaps at his wisest and timeless best here. You have heard this story a thousand times before but you have not truly heard the story until you listen to Tim Curry. He is a genius. Get this book for the holiday season! I've been completely enthralled by this audio book. It is so well done as to feel much more like a dramatic production than a simple narration. I'm not a great fan of Tim Curry normally, but his portrayals of Dicken's characters is full-hearted and spot-on (but not over the top or in any way goofy, which is what I had feared). Highly recommended. Great story, great narration, awesome gift! 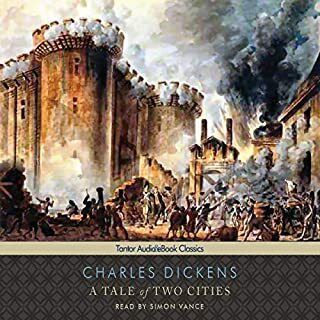 I really enjoyed this book last year when Audible gave it to me as a Christmas gift. 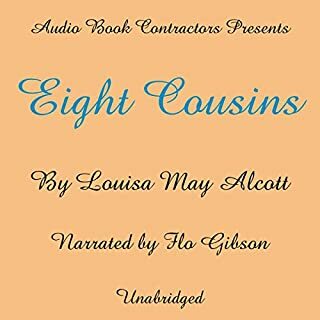 I had just become a member and I was so excited to be given a gift as part of the Audible family. I love Audible, love my membership and love the way they treat their members. I was interested to see what would happen this Christmas and was just as excited when I received a beautiful gift. I have not read this year's gift yet but I did read A Christmas Carol over. It is a wonderful book and well narrated. I am adding it to my list of Christmas regulars, along with Skipping Christmas and The Christmas Train. Thank you Audible for treating me so well! Tim Curry is a fabulous reader. I thoroughly enjoyed his rendition of the timeless story! What a fantastic performance from Curry. He really brings this classic to life. I'd highly recommend this version of Dickens' classic tale. Tim Curry's narration of this timeless classic is simply brilliant. It sounds a bit cheesy to say it but this was brilliant. Curry has brilliant tone in his narration and the story passes easy to the ear. You may think you know this story - but how well I would ask? I had never actually read the book but knew the story from TV adaptations. They do not do it justice. I saw the 3D movie Christmas 2009 and then downloaded this free book and was so pleased I did. I think you will not only be pleased you did, but start to wonder about other Dickens novels as well - I know I did. Many thanks to Audible for this kind gift. Dickens great story is wonderfully brought to life as Tim Curry readies us for Christmas. I cried in all the appropriate places as Dickens conjoured up his wonderful familiar characters. Tim Curry reads well, with the exception of his characterisation of Mrs Cratchet which was a little odd. But now I am being picky and Scroogelike. Forgive me. Thanks Audible. God Bless you every one. Thankyou Audible for this free book, loved every minute of it. Tim Curry really brought it to life and got me in the Christmas mood. His voices to the characters made it more so. Listening to this fabulous story in its entirety took me back to my childhood! Tim Curry's performance is superb. The voices true to the characters with passion and humour abound. A perfect way to start the Christmas season! I loved Tim Curry's humorous and enthusiastic narration of this classic. I don't think anyone needs me to review this well known tale but just to let everyone who follows my reviews that this is currently a free gift available from Amazon local until 30th Dec 2014 and I'd highly recommend it.1, go to Amazon then click on today's deals (in thin black writing at the top of the page), 2, Go to the section for Amazon Local Deals nearer the bottom of the page and locate the offer Free Voucher Free Audiobook of 'A Christmas Carol' Narrated by Tim Curr... and click to get the voucher and then redeem it to get the book. Don't try to get this from the Audible site as you'll probably be charged. I have to admit that I have a soft spot for Tim Curry, but having received a version with Tom Baker I originally decided not to go through with my order for this. I listened to the Baker version and was truly disappointed. I have always found that the words of this story stand by themselves with no need for the assistance of mood music and sound effects. The inclusion of which spoilt the Tom Baker narration for me so this week I went for this one. I started listening, hoping that the same thing had not been done; and to my relief I found it was a clean narration, with good pronunciation. This is a superbly narrated classic and well worth your consideration. I am so incredibly happy that I purchased this. I've seen the story too many times on TV and hate the story, but some how this was really good. I don't know how but the TV adaptations are just cheesy, but this was emotionally engaging, I think because it was the story as told by Charles Dickens and not reinterpreted it was able to keep closer to its original meanings and flavours. It made the story actually fun again. Scrooge has come to mean miserliness when, if the story is effective (as I believe this one is) it should mean generosity and benevolence. With perfect, engaging narration from the amazing Tim Curry, this was just what I needed to hear on Christmas Eve. It has as much meaning today as it did when it was written. Classic tale very well narrated by Tim Curry. A great family listen! Well worth it! I have always wanted to read this story and never seemed to have the time. Listening to it while I have been doing my end of year tasks has been delightful. The story was well read and pleasant to listen to. If you haven't read the book then get the audio version, you will be glad you did. Tim Curry's narration is sumptuous. I was hanging off every word. I highly recommend this audio book. I love Tim Curry, (it's heartbreaking to know that we'll never hear his magical voice like this ever again), and A Christmas Carol, so I was very excited to see them together - sadly, though, I was rather disappointed. Curry seems to be completely ignoring the punctuation in the text and making up his own, putting gaps in where they don't belong, and totally changing the emphasis and even the meaning of some phrases. It's rather annoying, and very very sad. He also doesn't seem to be putting a lot effort into making various character voices... I was so disappointed.